Throughout the years, we've come across many people with automatic transmission equipped vehicles that have invested heavily on building their engines, but then become stuck when it comes to engine management and trying to tune their engine. 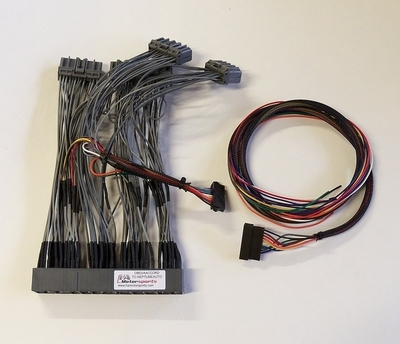 The common chipped OBD1 ECU setups don't work with an automatic transmission, so most people get stuck using an inferior solution like a piggy-back VAFC or similar. We've taken note of our customer's needs, and have finished testing our newest solution for automatic transmission vehicles. Our Neptune RTP auto ECU package solves this problem by working in combination with a separate automatic transmission control unit (TCU). This custom configured Neptune ECU controls the engine, while the separate TCU controls your transmission. You can now fully tune your engine's operation including fuel tables, ignition tables, VTEC engagement, rev limit, idle parameters, and even datalog and monitor your wideband on your automatic transmission equipped vehicle. 92-95 Civic with B series engine swap using a B series auto transmission. 96-98 Civic with B series engine swap using a B series auto transmission. 99-00 Civic with B series engine swap using a B series auto transmission. 94-95 Integra with B series auto transmission. 96-99 Integra with B series auto transmission. 00-01 Integra with B series auto transmission. 96-97 Accord with F/H series auto transmission. 97-01 Prelude with F/H series auto transmission. 98-02 Accord with F/H series auto transmission. You MUST use the appropriate auto transmission control unit (TCU) for your engine/transmission with this ECU. For B series auto transmissions, use our P78 TCU. 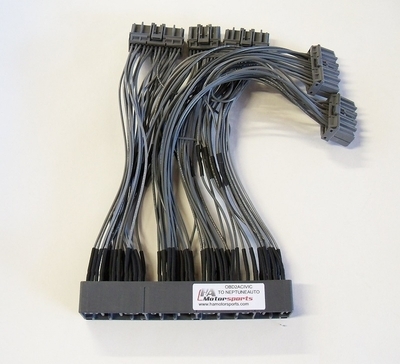 For F/H series transmissions, you will need an OBD1 transmission control unit from a 94-95 Accord or Prelude. How do I get the ECU and separate TCU to plug into my car when my car only has a single ECU from the factory? These harnesses will plug directly into your stock ECU's wiring harness plugs, then plug into our Neptune AUTO ECU and separate TCU. Some applications will require additional transmission sensors and solenoids to be wired to the transmission from the harness. 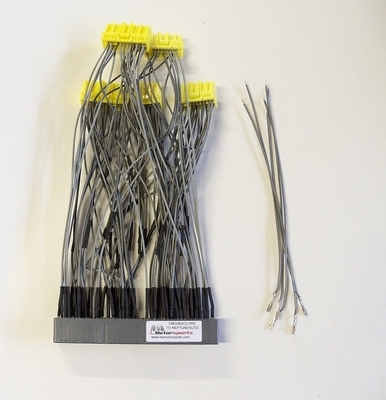 One these applications, a separate pigtail is included along with instructions for straight-forward installation. I'm a little confused. What exactly do I need? How do I tune the ECU after I install this setup? Using the Neptune RTP software. The Neptune RTP system allows complete tuning of your engine. Not familiar with the Neptune RTP software? Download the software for free to take a look around here: Neptune RTP Tuning Software. Our Neptune RTP Auto ECU package includes the Neptune software license for quick and easy setup. If I decide to order, how long will it be before this ships? Within one business day. :thumbup: We have these ECU's, TCU's, and every harness listed in stock and ready to go. Don't see your application listed? Please don't hesitate to send us a quick email to sales(at)hamotorsports.com and we will be happy to let you know what will work for your setup, or if it is something that we can work on developing for you. We are more than happy to help you configure your setup to be able to tune using the Neptune RTP system on one of our ECU's. HA Motorsports | Honda Engine Management Specialists! I have a 2004 Honda Civic with auto transmission (PCM Powertrain Control Module). My plan is to swap a larger engine (2000 Prelude engine auto transmission H22A4). If this swapped engine does not include original transmission. What do you recommend for its replacement? The article states we can use the B series, does this apply to my plan and what B series would work? Any advice? Also, will the Neptune Auto ECU plug directly into stock PCM? If not, what do you recommend?